This weekend is extra long in the U.S. due to Labor Day, so that should mean extra game time, right? Maybe, but for me, I’ll actually be out for a short trip to catch a pro baseball game. That doesn’t mean I’m not playing something this weekend though. So, here is my playlist! 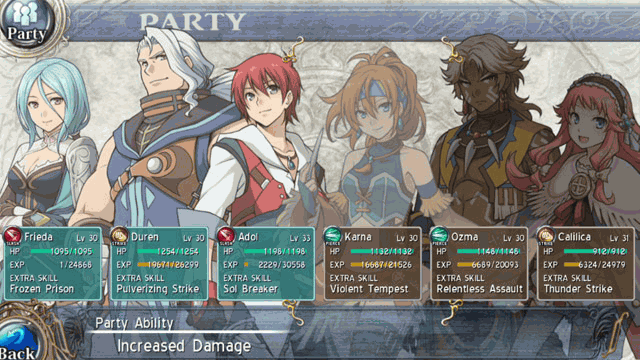 This is the first Ys game that I’m actually getting to really play. I grabbed this for my PS Vita earlier this week, and after about 2 hours, I am hooked! The action in this RPG is really fast-paced and very fun. The story hasn’t really kicked into gear yet, but I’m having enough fun through combat and exploration to offset it. I’m also planning to jump back into Golf Story this weekend on my Switch. If you haven’t played this game, even if you don’t like golf, you should try it! It has light RPG mechanics, a funny story with charming characters, and solid gameplay. It’s also got that retro look and feel that I’m just a sucker for. Have a great weekend, and be sure to leave a comment with your gaming playlist!